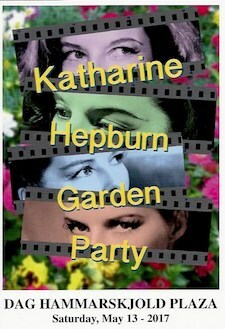 It’s been 20 years since the first Katharine Hepburn Garden Party, and this one is VERY SPECIAL. Come see thousands of new plants in the garden, the result of a major rejuvenation project by FDHP. As you stroll the newly-laid path, enjoy quotes by the famous actress who helped preserve the trees and charming character of Turtle Bay. We continue to partner with the Turtle Bay Association on this popular annual event that kicks off spring with live music and free cake. This year, cabaret and Broadway singer Hannah Harding entertains with favorites from the Great American Songbook. Come meet your neighbors and get to know this legendary park and neighborhood. Saturday, May 13, 1pm to 3 pm. Rain-date May 14, same time. 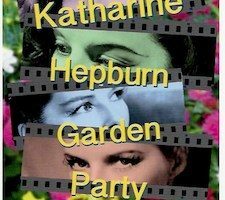 The Katharine Hepburn Garden is located in Dag Hammarskjold Plaza, East 47th Street between 1st and 2nd Avenues in Manhattan.